Doofor DF538L is a hydraulic drifter for general excavations, tunneling work, and mining. 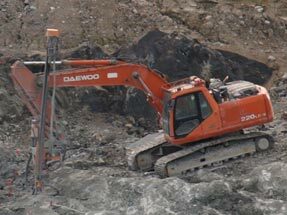 Typical applications include narrow vein jumbos and excavator drill attachments. The Doofor DF538L has two rotation motors for high torque. Rotation gear is robust and durable for surface and underground use. 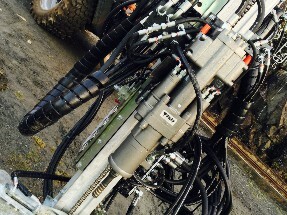 The rock drill is equipped with a separated flushing box. Flushing can be done with water or with air. 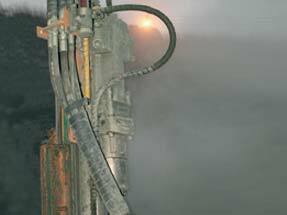 The Doofor DF538L is designed to drill up to 57mm diameter drill holes in hard rock.